The Yamaha R15 V3.0 Darknight colour option carries a premium of INR 2,000 over the stock Racing Blue and Thunder Grey paint schemes. It retails at INR 1.41 lakh (ex-showroom Delhi). Yamaha launched the YZF-R15 V3.0 ABS in India on January 14, priced at INR 1.39 lakh*. That said, the Yamaha R15 V3.0 Darknight is available at a premium of INR 2,000 and retails at INR 1.41 lakh*. The YZF-R15 V3.0 is the first motorcycle in its segment to feature dual-channel ABS along with adjustable fluid pressure technology, which ensures immediate braking on slippery roads. Apart from the introduction of ABS and the new paint scheme, the Yamaha R15 V3.0 continues to remain unchanged. It employs a 155cc, liquid-cooled, single-cylinder, fuel-injected engine with Variable Valve Actuation (VVA) and slipper clutch. The motor is tuned to generate a maximum power of 19.3 PS at 10,000 rpm and a peak torque of 14.7 Nm at 8,500 rpm. It is coupled with a six-speed transmission. 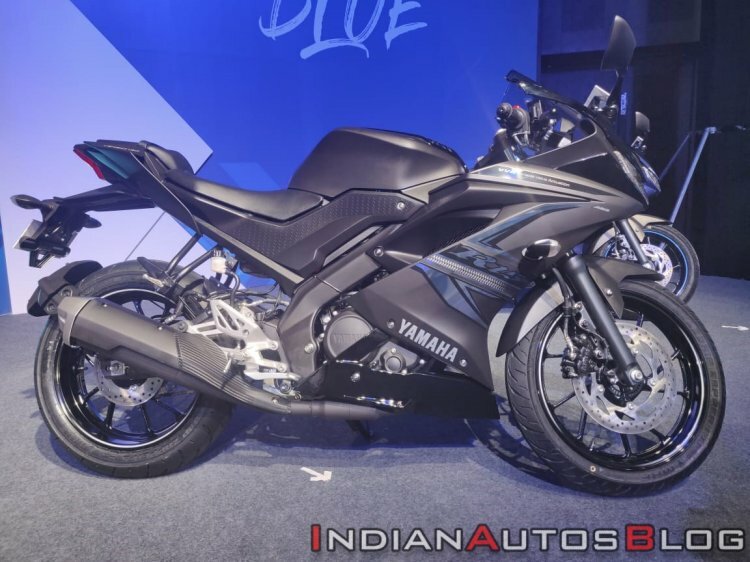 While the Yamaha R15 V3.0 ABS doesn’t have a direct rival, it competes with the Bajaj Pulsar RS 200 and the KTM 125 Duke. It features LED headlights and a fully-digital instrument cluster, while the flagship Yamaha R1 inspires the overall styling. The YZF-R15 V3.0 has averaged monthly sales of over 8,000 units along with total sales of more than 80,000 bikes from March 2018 to December 2018 (10 months). The dual-channel ABS unit on the Yamaha R15 V3.0 features adjustable fluid pressure technology that ensures adequate braking on slippery roads. 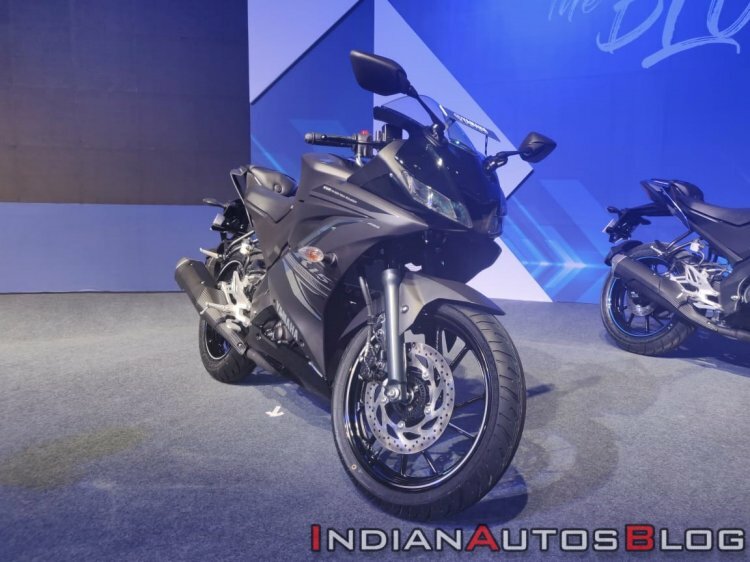 In other news, India Yamaha Motor has also introduced dual-channel ABS on the Yamaha FZ25 and the Fazer 25. While the FZ25 retails at INR 1.33 lakh*, the Yamaha Fazer 25 has been priced at INR 1.43 lakh*.